Sea Illumination: How has Human Overpopulation Caused Major Loss of Global Biodiversity? 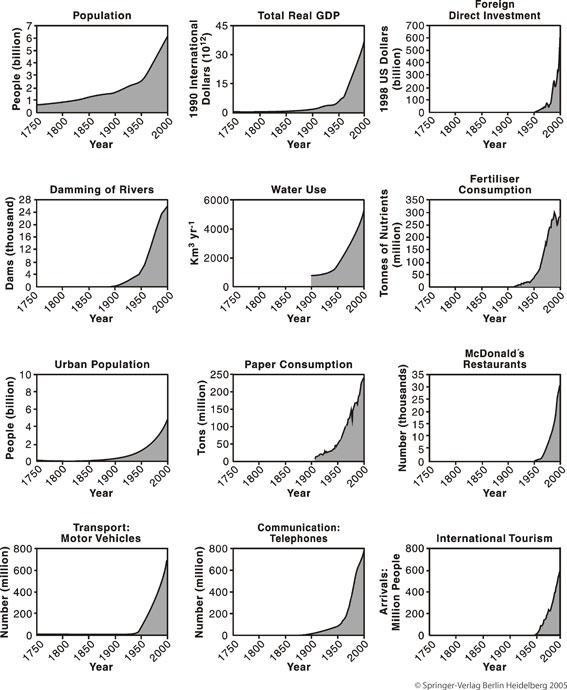 How has Human Overpopulation Caused Major Loss of Global Biodiversity? Thomas Malthus, the eighteenth century political economist, demographer, and creator of the Malthusian theory, said ‘that the power of population is indefinitely greater than the power in the earth to produce subsistence for man’. Centuries later and a couple billion people more, Paul Ehrlich expressed the opinion, in the 1968 bestseller The Population Bomb, ‘[the] world’s population increased, not because people were breeding like rabbits, but because they stopped dying like flies’. In fact, our current human population adds to itself by roughly 74 million people per year, estimating our total population to reach 9.2 billion by 2050. Populations are always in a state of fluctuation, growing and collapsing based on resource availability. A simple example of this can be seen in yeast that is introduced into the sugary environment for wine or beer making. The population of yeast grows exponentially until the sugar, or nutrients are all used up, or the environment becomes too toxic, and the yeast population begins to die off and collapse. Just as the sugar provided for the yeast, fossil fuels have provided humans with the ability to exploit an overwhelming array of resources and made it possible for rampant population growth. However, just as with the yeast and the sugar, resources on this planet are beginning to dry up and disappear. Oil AND water are becoming increasingly scarce, land for agriculture is harder to come by, and many of the other species with which we share this planet are going extinct. Anthropogenic Extinction is the term given for the current mass extinction brought about by humans. The cause of which is due to major loss of global biological diversity through habitat destruction and fragmentation, habitat change from disruption of ecosystem processes, introduction of invasive species, pollution and over-exploitation. On land it is estimated that 34% of the planets ice-free terra firma is being devoted to human agriculture, 12% for cropland and 22% for pasture, leaving very little for biodiversity and ecosystem processes that are necessary for a healthy environment. In the ocean, due to over exploitation and increased demand for an ever-growing human population, 90% of predatory fish are gone from the world’s oceans. Figure 1: Special Report: The facts about overconsumption. The environmental effects of human over-population include habitat destruction and fragmentation, habitat change from disruption of ecosystem processes, over-exploitation, introduction of invasive species and pollution. These topics shall be highlighted in future post. What kind of fish is that in the picture? I'd guess grouper, but it would be just that, a guess. The endangered, and native to Australia, potato cod, Epinephelus tukula.